One of the best things about living in a city is the vast amount of small speciality shops. 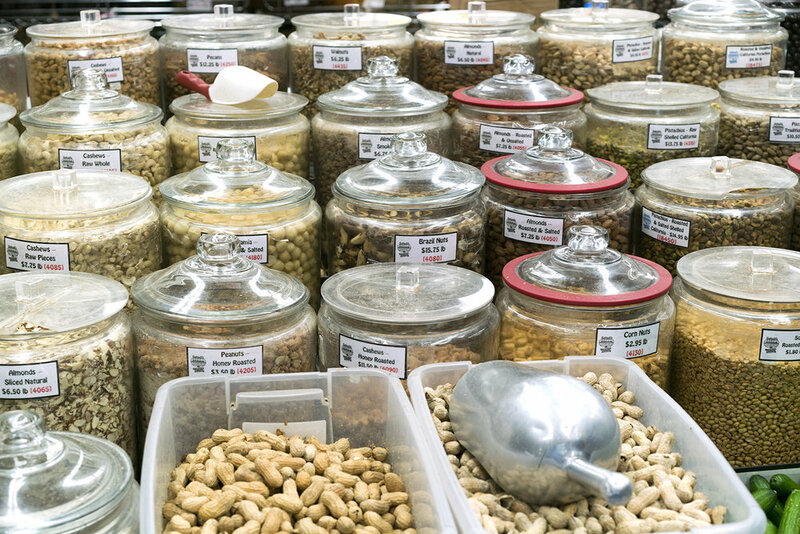 There’s nothing quite like walking into a store and being greeted by bins of crystallized fruit or walls full of spices in the most vibrant colors you can imagine. Just stepping inside can bring on waves of inspiration or nostalgia that make you want to fill your home with friends and the smell of something wonderful on the horizon. One such store for many New Yorkers is Sahadi’s in Brooklyn. 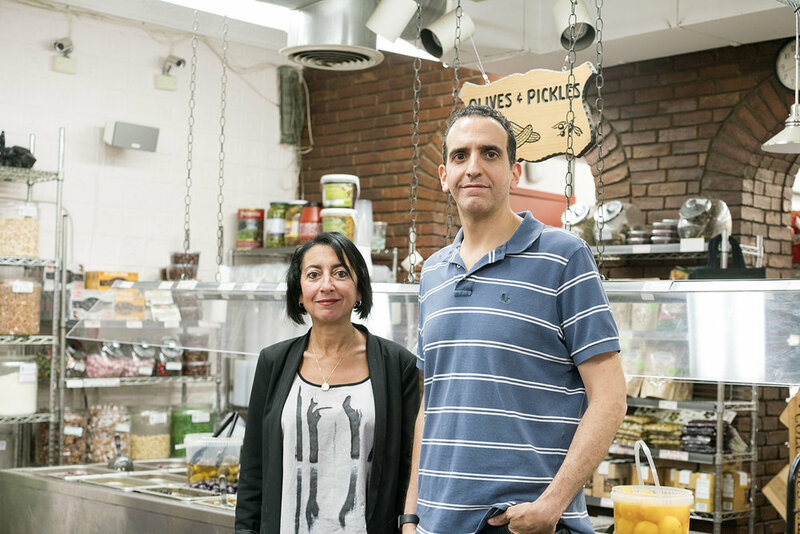 Opened in 1898 by a family of Lebanese immigrants, Sahadi’s specializes in bulk and ethnic foods. In 1948, they packed up and moved to their home on Atlantic Avenue, where they’ve been ever since. On a recent warm, rainy day, we visited with Ron and Christine to find out a bit more about their store and what they have planned for the future. Ron and Christine, the newest generation of Sahadis to run the family shop. The store is very hands-on with all of its items, making sure to find the best quality and exporters. They roast the nuts they sell in their warehouse in the Sunset Park neighborhood of Brooklyn, as well as mix their own granola and spice mixes, and create many other speciality items. They try to support local businesses not only by carrying many products made in New York City, but also by outsourcing work they cannot do in-house to them, such as the whole coffee beans which are roast nearby. We couldn’t resist taking home some of the pomegranate cranberry granola, pistachios and brilliantly colored spices to try out ourselves. Most of the prepared food is created from family recipes, and their pies and cookies are made in-house every morning from scratch. While walking through the store we munched on some of the za’atar flatbread and kibbeh, a little crispy football of ground beef, onions and spices. Mike, the cheese guy, gave us many cheeses to try and a story for each cheese-maker. You can get catering from Sahadi’s too, specializing in Meze (pronounced mah-zah), a Lebanese party spread. For the store’s fans that live a little farther away, there is a cookbook in the works. Soon customers will be able to read the stories behind and recreate some of their favorite dishes at home. Another project coming soon is a new space near their warehouse where you will be able to see some of the items being made, host events and sample craft wine and beer from Lebanon. Mike, the cheese guy, really knows his stuff and he's wonderfully chatty and helpful. They dry their own fruits and nuts in their warehouse. Preserved lemons perched on the olive bar. We hung out and discussed these olive oils for a very long time. Definitely order lots of these za'atar breads.